Our setting at the ‘bottom of the garden’ has been designed to provide stimulating learning environments both indoors and outdoors, with the children moving independently between both environments as they choose. Every session is planned to incorporate a balance of child initiated play with adult supported activities within a structured daily routine. Our children are encouraged and helped to become independent learners and valued members of our school community. Handy Paws caters for children between the ages of 3 and 5. This year, sessions run every morning during term time from 9.05am to 12.05pm. From September 2017, we are offering full days from 9.00 until 3.30pm. Parents are able to use Nursery Vouchers for these sessions. 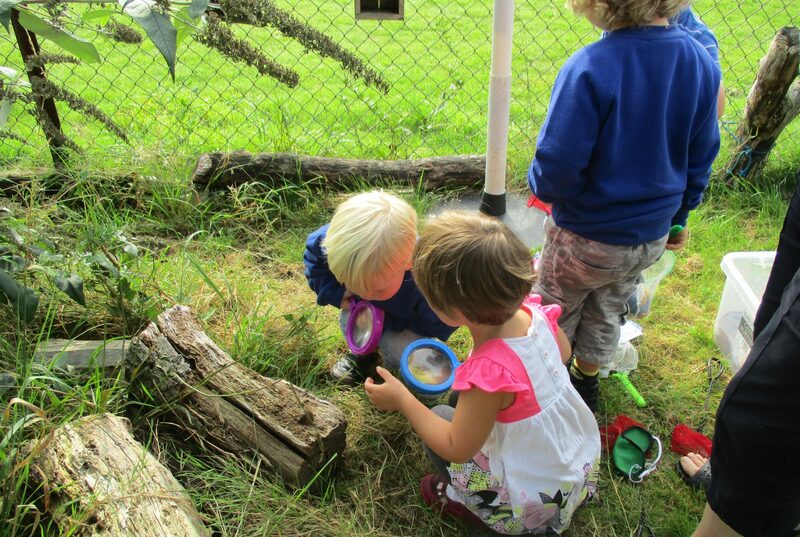 If you are interested in finding out more about the Pre-School please contact the school on 01258 452277. We try to ensure that the pre-school and school are well linked as we believe this provides the best start to school life for our children. In the last year, for example, Handy Paws joined in with the Christmas Nativity, Harvest Festival, Life Education Van Visit as well as many visits of artists and performers. Through home visits and visits to playgroups and nurseries, contact is made with each child and their parents before entry to school. Preliminary visits are organised called Rising Fives sessions which enable both parents and children to become accustomed to their new surroundings and teacher(s). There is also a New Parents’ Evening in the Summer term each year where the Chair of Governors, Chair of PTA, Head Teacher and class teacher talk with you about how to get the best out of your time at Durweston.